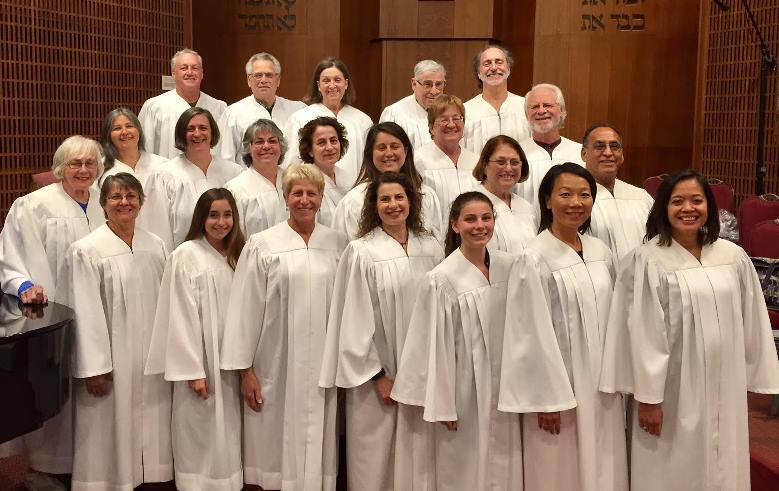 Our Temple Beth Torah choir is the home of the “sweet singers of Israel” who grace our High Holy Days services. It is a wonderful and fun group of folks. No music reading experience is required. if you can carry a tune without a bucket, you’re welcome to join us. Our music is eclectic ranging from the classics to settings of modern Jewish composers. There is nothing like the experience of an ensemble. Two voices together are more than the sum of its parts. The voices of our choir along with High Holy Day director KuanFen Liu and accompanist Miriam Arichea combine to create a whole new instrument. Please feel free to ask any of the members of the choir about the experience of being part of this instrument. No audition is required, but please consider this an engraved invitation to contact cantorial soloist Robin Faigin for more information.